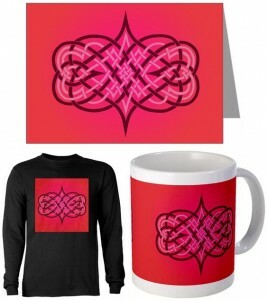 This entry was posted in Online Shop and tagged art prints, Celtic, hearts, knotwork. Bookmark the permalink. Ian Anderson your article about Interwoven Hearts Knotwork Interlace Greeting Cards is very nice as it is very unique style of making greeting cards. As these designs are also available on mugs, T shirts, canvas bags, and drinking glasses. Thanks for sharing this awesome post.